Just days before the election, the New York Times reported that Donald Trump's staffers made a long-overdue move: taking Trump's Twitter privileges away. Both Trump's senior advisor and his campaign manager denied that anybody revoked his Twitter privileges, USA Today reported Monday. However, whether he was encouraged to avoid the account or not, there are clues that the candidate took a break from the platform ahead of Tuesday, and that Trump is back on Twitter on Election Day. SpredFast, which provides social media data analysis, reported that Trump's Twitter account sent three tweets from an Android device within about 15 minutes of one another on Tuesday afternoon. A fascinating analysis of Trump's account by data scientist David Robinson yielded compelling reasons to believe that tweets originating from Android are coming from the candidate himself, while those coming from iPhone devices are likely coming from campaign staffers. For example, tweets from Android have most-used words like "badly," "weak," "strong," and "dumb," while iPhone tweets from the account mostly use hashtags — something pros would likely do. Also, Android tweets tend to contain only words, whereas iPhone tweets generally include an image or a link. And iPhone tweets tend to feature more standard political fare, like announcing events and thanking supporters, whereas Android tweets feature more commentary. 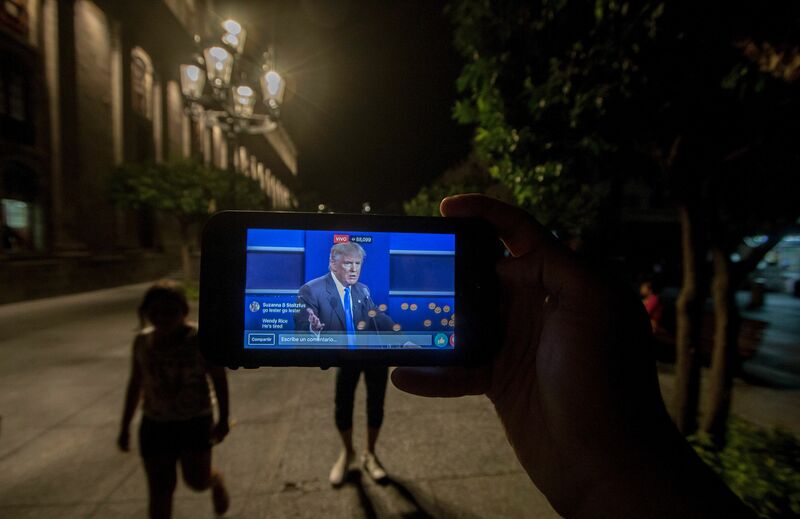 Plus, Trump is known for using a Samsung Galaxy, which uses Android. In the days leading up to the election, after the alleged discouragement of posts directly from Trump, the tweets were fewer and more even-toned, focusing on telling people to vote and promoting campaign events. On Tuesday afternoon, with the Android tweets, we saw a brief return of fast-paced, all-text tweets from Trump's account, including one that claims Utah officials are reporting voting machine issues across the country, not the county, which is what CNN actually reported. The mistake has not been corrected at the time of this writing. The other tweets encourage voters to keep turning out and inform us that Trump will be watching results come in at Trump Tower, which the tweet characterizes as "Very exciting!" It appears that Trump got his hands on his Android device and took to Twitter on Election Day, after he may have taken a partial hiatus from the platform at his staffers' behest. At this point, it's highly unlikely that a tweet will change the Republican nominee's prospects.